New energy technology company BYD debuted its latest sedan model, the Qin Pro, in Beijing on Thursday. The new vehicle comes with three powertrain solutions – gasoline, DM (plug-in hybrid) and EV (pure electric) – for consumers with different needs with domestic prices ranging from 79,800 yuan (US$11,600) to 189,900 yuan (US$27,698). The Qin Pro DM can accelerate from zero to 100kph in only 5.9 seconds, and its fuel consumption per hundred kilometers is as low as 1L, making it the most powerful hybrid compact car yet. Thanks to the large-capacity batteries featuring high energy density and the newest intelligent battery temperature control/management system, the Qin Pro EV500 can travel as far as 500 km on a single charge and more than 800 km in a day. What's more, its batteries can reach 80 percent charge in just 30 minutes. 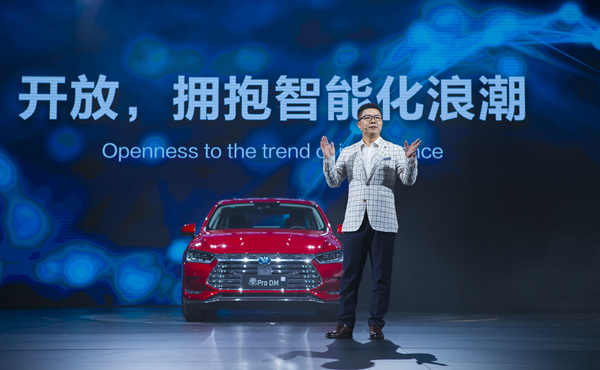 BYD unveiled its BYD New Architecture (BNA) at the launch ceremony, which comprises a global smart manufacturing platform spanning all kinds of vehicle engines and an intelligent connected platform featuring cutting-edge AI technologies. BNA also encompasses a self-driving platform opening up auto hardware and a world-leading new energy platform, which will become an "incubator for high-level intelligent vehicles" promising infinite ecological potential. The brand's smart sedan is now also available in "Self-driving Developer Version" and "Ecosystem Developer Version" featuring open-source software, which are part of BYD's efforts to embrace global developers and tech firms, as well as spearhead innovation and development in China's auto industry. "In the future, travel will only comprise 1 percent of smart cars, and the remaining 99 percent is open to the human imagination," BYD chairman and president Wang Chuanfu recently said. Empowered by BYD's BNA architecture, the Qin Pro features self-evolving aesthetics, intelligence, quality, power and safety, delivering a superior driving experience and astounding development possibilities. 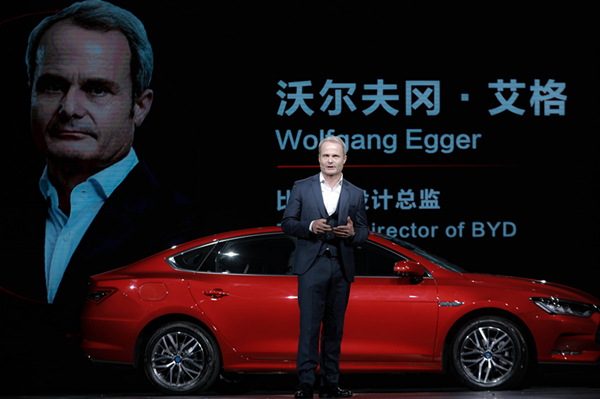 BYD design director Wolfgang Egger designed the car with a new design language known as "Dragon Face," giving the Qin Pro a sporty and elegant appearance, as well as a technologically advanced and luxurious interior. As the world's first car featuring BYD's "D++" open-source ecosystem, which was unveiled at BYD's Worldwide Developers Conference in Shenzhen on Sept. 5, the Qin Pro connects developers, products, users and society. This will lower development costs for smart travel, empowering the industry and present a myriad of new application possibilities. BYD is present in more than 200 cities in 50 countries and regions and was the number one seller of new energy vehicles in the world between 2015 and 2017. New energy technology company BYD debuted its latest sedan model, the Qin Pro, in Beijing on Thursday.